Don’t groan now. Throw out or give away things that you’re not overly attached to and keep only the pieces that mean something to you. Think of it as a new beginning. Just because you can store everything in your home does not mean you have to. 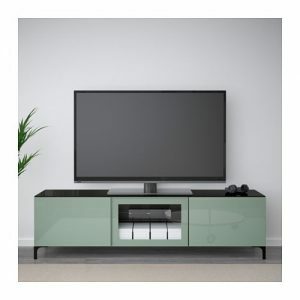 If you’re not an avid TV person, a simple TV bench would do. However, if you’re someone who loves everything the cable god has to offer, you should invest in a bigger TV and shelving combination that gives you enough space to keep your speakers, DVD player and DVDs. Maybe you enjoy music and reading as well. By all means, consider a bigger shelving combination that has enough space to fit your books, CDs and music system. This way you can have all your entertainment essentials in one spot. Draw up a plan of your living room. This way, you’ll know if your arrangement will work with the size of your furnishings and the size and shape of your room. If you intend to invest in a huge TV and shelf combination, then consider the height and width of the wall where you intend to place it. If your shelves have doors or drawers, you’ll need to factor in the space required to open them up as well. And most important of all – consider the location of the power outlets. Choose a piece that goes well with the rest of your furnishings and the theme of your home. Definitely keep this in mind while making the final choice.